We have all heard how well videos work, right? But are you making videos and getting nowhere with them? This problem is very common, especially for those in network marketing. The true reason they are not working, is because no one is watching them, they could be made wrong, and no one can find them when they go looking for information your video contains. So in this post, we will break down exactly how to get people watching your video, and some tips and tricks on getting your video massive amounts of traffic! First let’s look at the work needed upfront before we even publish a video. Seriously, if you miss this part, you increase the chances of a video getting lost in the shuffle. So let’s look at the first steps we must do before we aim to promote and get massive traffic to our network marketing videos. The first step in making a network marketing video that will get massive traffic, is to get the right keyword into it. What are people searching for online, that you can help with? You can use “Google Keyword Planner” to find the basic amounts of people who type in specific keywords into the search engines and see what most people are asking Google and other search engines. If you have no authority yet, or not much in terms of visitors and subscribers, always try for the lower searched terms. It will be easier to rank your video with a lower competition keyword than with one everyone is trying for. Sometimes, if no one else has a video up for the keyword you select, you will go to the top of the searches with that video from this alone. So find what people are looking for, and over time, begin creating videos that are more competitive as you build your subscriber base. 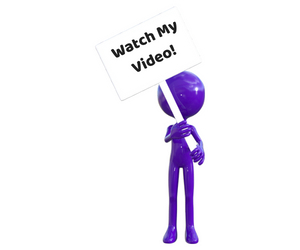 It Must Be Your Video – Don’t make the mistake that so many network marketers make. They find a video of their company and use it for their videos. This will not do so good, as Youtube will recommend your company’s version of the video and not yours. Also, when promoting it, it will give the views to the company who loaded it. And, for several reasons you want you to be the focus on the video. So always be sure you create the video, your in the video either on camera or using your voice, and it comes from your channel. All of this will be proven extremely useful down the road. Always create your own videos even if they are not as professional looking as your company’s videos. Title – When you have found the keyword you want to rank for (for future organic visitors), be sure to include this in the title. The title of the video is important for a few reasons. Including the keyword in the title will help on the search rankings, and by making sure the title stands out, people will be more likely to chose it when it is recommended. The more detailed on what your video will do, the better. You want the title to interest and give specific reasons to watch it. File Name – When you create the video, make sure you load it to your computer with the name on file the same as the keyword you want to get organic traffic to. This really helps in the SEO part of the video. When you save the video to your computer, name it according to the keyword you want to rank for. This will load to Youtube’s database and will be used in deciding videos for recommendations. Description – Always create a well written description for your video, that contains the keyword you want to rank for in it. Include that keyword a few times inside of a description that is at least a few paragraphs long. Also, use other related keywords (you will see them with Google Keyword Planner) inside the description you write. This is used to help Youtube get more of an idea that your video is what the person is searching for. Thumbnail – If you’re brnad new to video marketing in your network marketing business, you may not be able to load thumbnails just yet. If this is the case, keep making new videos and Youtube will allow you to do so once you have a set amount of visits and your channel proves to be suitable. You want to make a thumbnail that will grab attention the best you can. The more you make these thumbnails the better you will get at them. Using the website Canva.com, you can build some impressive thumbnails and other images for your content for free or low cost. I recommend this site as it is easy to learn and can create some awesome images when you learn to use it. Now comes the part of making the video itself. You need to focus really good on the content on the video. The best tips I can give for making the video is to be sure the video is very helpful in it’s content. Whatever you are making the video about, make sure you give the most information, the best information, and most helpful tips or advice in the video. If the content is really good and useful in the video, it will increase the video’s share count, like count, and social signals. These signals tell Youtube to that people love your video. So it will be the video it wants people to see when they go onto Youtube or Google looking for the information your video contains. If you share the most value in your video for that keyword, promoting it will be much easier and will become more effective. So be sure when you make the video that you are putting in your very best content. Now building the video is just not enough. Especially when you are new to video marketing. You need to get eyeballs on it, and this can be the more easy and fun part of video marketing (at least for me). The more we focus on promoting a specific video, the better the chances it gets to the top of the search engines. When it hits the top of the search engines, then we are getting targeted views of people who are wanting to know what’s in the video. This is where the real money is made. Social Media – The more social media profiles or accounts you have, the more places you have to share your network marketing video. I will load every video I make onto my Facebook Business Page, Twitter (use hashtags when you do it for more views), Google Plus, Pinterest, Stumbleupon, Tumblr, Delicious, Digg, Linkedin and Linkedin groups (also on Facebook groups and Google Plus groups) along with adding it to IBOToolbox and MLM Gateway. Loading to it all these platforms just gives it more chances of getting seen. It takes only a few minutes to do, and is well worth the time. You will also learn more later on how to intensify these shares on each platform to increase views and links back to your network marketing video. Email Your List – Now if you have an email subscriber list, then you’ve been involved for some time in network marketing. If you don’t, consider building one today. But the larger this list gets, the more views you will get quickly when you send the list an email letting them know about the video you’ve just recently uploaded. IBOToolbox – This is a platform, that has members who get to advertise for free using credits that they earn for daily activities. IBO has one big advantage, the members will share, like, and comment on your new network marketing video if you offer free credits to them in exchange for the views and shares. If you are a member there, offer credits for sharing and engagement activities on your video to increase it’s influence online. Also, load the video to your profile on step 8 and it will add another place that you can backlink later. How bad do you want to get your video sucking in traffic and leads? If you really want to get massive traffic and views to your network marketing video, then there is some more work you can put into it to intensify the outcome of this. By creating a blog post (best used with WordPress) you can have another source and links to increase your video’s views, and promotion. Writing a very detailed and valuable blog post along with the video (or the video along with the blog) will be key to getting videos ranked better. Include the video inside the content like this post does, and you can promote the blog post as well with all the same steps as the video. You increase views by those who find the blog post and watch the video. Many will share, like and engage with the blog itself, which is fine. It will increase the result you are looking for when you created your network marketing video to begin with. You can create even more content across the web on your social accounts that promote your blog and video. Some of the places include IBOToolbox, MLM Gateway and Linkedin. There are even websites that allow you to write new articles for them you can use. Include the video in all the other places you put content up at. This will increase even more views to your video and give you more links to backlink (more on this below). Each new article on each platform should contain the network marketing video you want to promote. You can also add links in these articles (make sure they are follow links) at the bottom of each article. I explain more in the video below. Also, if you do create a blog post along with the video, you can also do all the same steps for it as you do for promoting the video, and each article too. 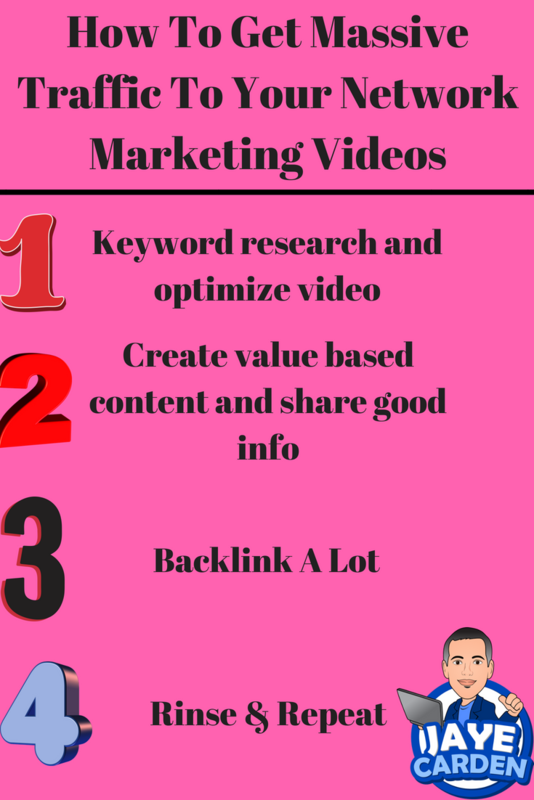 This will begin to create a massive amount of links, valuable content, valuable articles, across the web all pointing towards your network marketing video. If you are wondering what a backlink is, it is simple a link on another website that points to your video. Someone clicks it, they go to your network marketing video. So these help for 2 big reasons. One is the traffic they will pull from people all across the internet, and second is for ranking purposes. Google looks for how many places link to your video in deciding it’s recommendation of it. Along with social signals, backlinks are important to get. SocialMonkee – SocialMonkee is a big way to get high quality backlinks to your video and blog post containing the video. Here is where the amount of shares, blogs, and articles you have that contain the video matter most. You can purchase a membership with socialmonkee for a very low annual price, and get 4 URLs loaded every single day that will be backlinked to 250+ high authority websites. That can be 1000 backlinks created each day over a 2 week period. But if you include the video’s link, blog post, article, social posts, bookmarks, pins, and all the doubled social links created, you can almost never run out of links to continue loading to socialmonkee. It almost gets hard to keep up with because there will be so many links to your network marketing video you can create 250 times more with. Social Sharing Sites – This one works well, but be careful with it. Don’t let the same video or post go to long and get out of control with engagement. Let it do just a few of each type of engagement, and then pull it. There are places you can share your links, social posts, tweets and so on, and get instant engagement from the members of these sites. Sites such as followlike, is one good place to get free social engagement. LinkCollider is another place for free social engagement. SocialADR is yet another source to help you get massive social engagement on your social posts that you have created. Remember the more engagement the post gets, the more authority it gives your post. A high authority post that points to your network marketing video is good news for you. Links To Social Shares – Here is where you can get really crazy with getting massive traffic to your network marketing video. For the tweets, facebook shares, and other social sites where you have these, take the links from those and run those through the backlinking tools. This creates 3rd and 4th level backlinks to your video and content if you create it. 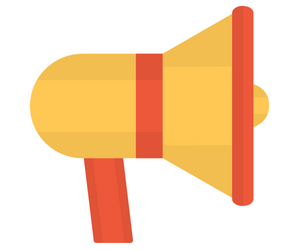 For example, if someone on the social sharing sites tweet your video out, take the link to the tweet and add it to the backlinking tools you have. This helps a little on outside traffic, but helps a lot on getting a video to rank in the search engines. SENuke – If you have the budget to get SENuke, then do so if you are looking to do a lot of content creation such as network marketing videos. SENuke is a very powerful tool that can rank and begin pulling in organic traffic for you like crazy. If you are not able to afford it, then you can most likely find someone of Fiverr.com that will load your new video links to SENuke for a few dollars. This will just empower the videos authority, that at this point, you have done very well with yourself. Now you have avenues to increase your video even more through paid advertising on social media. Using a sponsored ad on it for Youtube is a great way to get more views to it. Or posting it on Facebook and boosting the post that contains the video. You can also use IBOToolbox and MLM Gateway to run free ads. Since these 2 platforms only have other network marketers on them, the traffic they pull is targeted. You can purchase ads on IBOToolbox and MLM Gateway, but I recommend only purchasing ads on MLM Gateway and not with IBOToolbox. IBO is best for offering credits than running ads. They pull little in forms of banner ads, unlike MLM Gateway which does well. The idea behind paying for advertising is to find which sites do best for you by the following you created on them. This is exactly why you do not want to buy followers on any of these platforms, but instead grow it organically. Run some ads for your network marketing video for a short period of time to help with it’s rankings and views. But once it begins to drop, pull it. If the video is pulling results steadily, I would see no reason to ever pull it until it does. Hopefully by now you can see the overall idea of how you drive massive traffic to your network marketing video. There are many things not mentioned here that you can think of once you realize how to overall concept works. 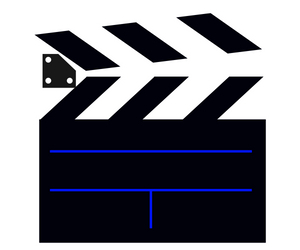 By promoting the video you will get views from people who stumble across the links and posts, and watch it. When it performs well there, Youtube and Google begin to recommend it when people search for it. Once it ranks on Youtube and Google, and the more of these types of videos you have up, the more and more you see results. It does take a lot of work upfront to get a video where it needs to be, but once you have accomplished this with a few videos, the subscribers you get from it will make each one easier and easier to get to rank. Your following will begin to empower your new videos, giving you less work to get it to the top. But for those who are new to using network marketing videos, the work will be a lot, but will prove worthy down the road when you begin seeing results. Remember just one video that ranks, can pull in results for many years to come. P.S Are you having a hard time getting people to join you? Take this free tour and let me get people to join under you like crazy! 4 replies to "How To Get Massive Traffic To Your Network Marketing Videos"
Network marketing takes work. In the past eight years I have met few who were willing to do it. Video’s are a necessity now. Pulling as much traffic with them as you can is your goal. Remember quality information for which people are searching. Keyword research is as important as creating the video. Thanks Dennis, I appreciate you coming by! Hope you enjoyed the info! Some great tips in this article Jaye! I’d like to build on what you briefly touched on in the creating a blog post section. Content repurposing like creating a blog post from the video content is a great idea, but why stop there? Create an audio only version version that you then publish on audio sites like soundcloud. Take excerpts from the video and create social media content, both quick videos and images qith quotes from the video. Do you do a lot of content repurposing yourself? These might not give you direct views on the video itself but they do give your brand even more exposure from the same piece of content. Ps. Just wanted to tip you off that the whole introduction is one big link (down to the link to ibotoolbox under the social media headline). Thanks Alexander. yes I have done those things, including audio, and other sources etc. The basic idea is to create massive amounts of links, and ways to be found for increasing views and increasing brand all together. Thanks for putting that up, as I did not include that in the post. But I have used it in the past, but not on every piece of content I did. I may also add, that creating more new content as often as possible helps to increase views on all content. So it will become a mix of time between promoting the content you have, and creating new content. Thanks for coming by!